I PEO 1 Have a successful career in Mechanical Engineering and allied industries. II PEO 2 Have expertise in the areas of Design, Thermal, Materials and Manufacturing. III PEO 3 Contribute towards technological development through academic research and industrial practices. IV PEO 4 Practice their profession with good communication, leadership, ethics and social responsibility. V PEO 5 Graduates will adapt to evolving technologies through life-long learning. 2 Problem analysis: Identify, formulate, research literature, and analyze complex engineering problems reaching substantiated conclusions using first principles of mathematics, natural sciences, and engineering sciences. 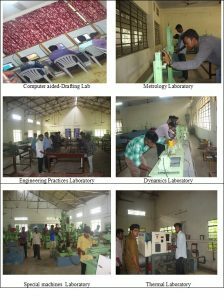 The Department of Mechanical Engineering is currently the best destination for the dream of the students with highly qualified faculty and the state of art laboratories. It is one of the established and largest departments in the institution. The department aims at creating quality engineers with sound technical knowledge and awareness of the latest advancements in existing and emerging technologies.In all courses the department has built an excellent reputation for its graduates in terms of placements. Our faculty brings state-of-the-art research, development, and design experience into the classroom, ensuring that our students and alumni are able to apply for registration as professional engineers in all part of global engineering and the scientific community. The faculty and students of Mechanical are continuously engaged in the relentless endeavor to improve upon past performance and to uplift the position among the league of engineering institutions. Seminars, Conferences, Project Expo, and symposia were organized by the department for initiating research in young minds. Students were encouraged by giving seed money for the best ideas do their project. The Mechanical Engineering has always enjoyed a respectable status among the major recruiters in India and the excellent performance of its students across the industry has enabled the department to maintain its strong brand image. This programme has been framed to provide students with an understanding of specific advanced body of knowledge and emerging manufacturing technologies and skills relating to the application and implementation of the advanced technologies in modern industry within both global and local contexts. It is expected that the graduates from this course will be sufficiently competent to direct the design, development and implementation of specific technologies and/or processes addressed during the course in the context of a particular organisation. The course offers the opportunity for employment with manufacturing companies intending to implement different levels of advanced manufacturing technologies. Graduates may find employment as design engineers, manufacturing engineers, production engineers, engineering managers, systems engineers, or research and development engineers in companies such as automotive, appliances manufacturing and discrete manufacturing intending to adopt advanced manufacturing technologies to enhance the productivity and competitive advantage in the global market. Demonstrate high-level advanced knowledge and skills in advanced design and manufacturing practice. Plan and implement an independent research project in advanced manufacturing technology applying research principles and methods and using technical research skills. Reflect on contemporary and emerging issues and trends in advanced manufacturing technology practice. Investigate, analyses and synthesize complex information, problems, concepts and theories from advanced manufacturing practice to provide solutions to complex problems using critical thinking and independent judgment. Demonstrate clear and coherent communication skills to articulate complex knowledge and justify propositions and professional decisions in advanced manufacturing to specialist and non-specialist audiences. Demonstrate a high level of autonomy, accountability, credibility, ethics, and responsibility for all personal work outputs in the advanced manufacturing sector. 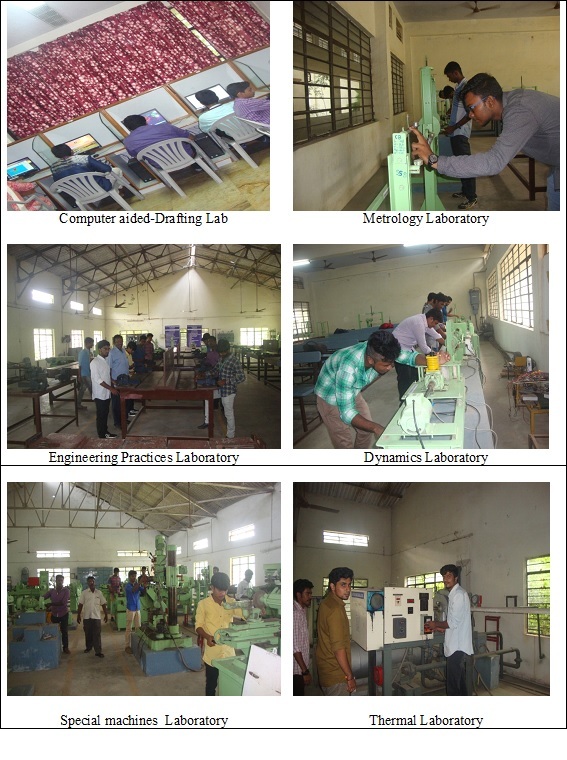 Our campus is witnessing an exponential growth in R&D activities. Apart from a large consultancy work undertaken by our Mechanical Engineering department, Academic research gains its momentum day by day. Nearly 26 research scholars are undergoing their Ph.D in various fields in Mechanical engineering. Young faculty members pursuing doctoral degree are offered seed money to start their research and also stipend is given for full time Research scholars. MOU has been signed with i3 DESIGN TECHNOLOGIES, on 12th June 2015 for the benefits of students and Research Scholars with the collaboration of Research and Development Units. MOU has been signed with ZYBEAK TECHNOLOGIES on 2ndAugust 2015 for the benefits of students and Research Scholars. MOU has been signed with SYNCE ENGINEERING Pvt Ltd. Technologies on 2ndAugust 2016 for the benefits of students and Research Scholars with the collaboration of Research and Development Units. MOU has been signed with SP INSTITUTE CNC TRAINING CENTRE on 23rdAugust 2017 for the benefits of students with the collaboration of Research and Development Units. Along with the Central library of the Institution, the Mechanical department has got separate library, where various different subject books of ECE are placed. The Dept Faculties, Staff and Students can make use of this library. To become a center of excellence and to produce high quality, self-motivated, creative and ethical engineers and technologists, contributing effectively to Society and Science education.